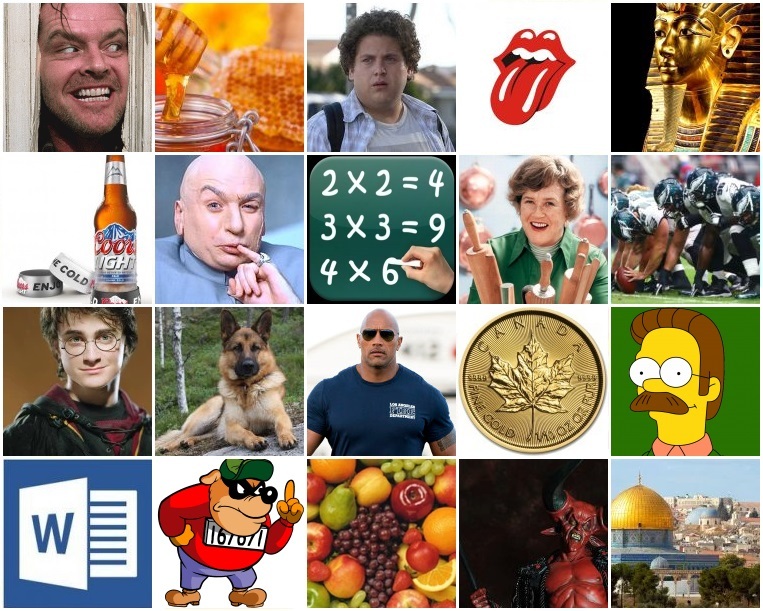 Can you find the pictures that complete the Bible (KJV) verses? And the Lord will create upon every dwelling place of mount Zion, a cloud and smoke by day, and the _____ of a flaming fire by night. Unto a land flowing with milk and _____: for I will not go up in the midst of thee. And _____ was in the belly of the fish three days and three nights. No weapon that is formed against thee shall prosper; and every _____ that shall rise against thee in judgment thou shalt condemn. And _____ charged all his people, saying, Every son that is born ye shall cast into the river. But the _____ of the Spirit is love, joy, peace, longsuffering, gentleness, goodness, faith, meekness, temperance. And God said, Let there be _____: and there was _____. Yea, though I walk through the valley of the shadow of death, I will fear no _____. And God blessed them, saying, Be fruitful, and _____. For unto us a _____ is born, unto us a son is given: and the government shall be upon his shoulder. But they that wait upon the Lord shall renew their strength; they shall mount up with wings as _____. And they come to _____: and Jesus went into the temple, and began to cast out them that sold and bought in the temple. Behold, as the clay is in the _____'s hand, so are ye in mine hand, O house of Israel. The Lord is my _____; I shall not want. My soul waiteth upon God: from him cometh my salvation. He only is my _____ and my salvation. And he shall be like a tree planted by the rivers of water, that bringeth forth his fruit in his season; his _____ also shall not wither. Thou shalt not avenge, nor bear any grudge against the children of thy people, but thou shalt love thy _____ as thyself. Put on the whole armour of God, that ye may be able to stand against the wiles of the ______. In the beginning was the _____, and the _____ was with God, and the _____ was God. The _____ cometh not, but for to steal, and to kill, and to destroy: I am come that they might have life.